Despite the quality of the accommodation I slept pretty well overnight, and because it was warm, managed to get a number of items dry. Also, despite the problems with breakfast (and my subsequent very late departure), it was rather good. 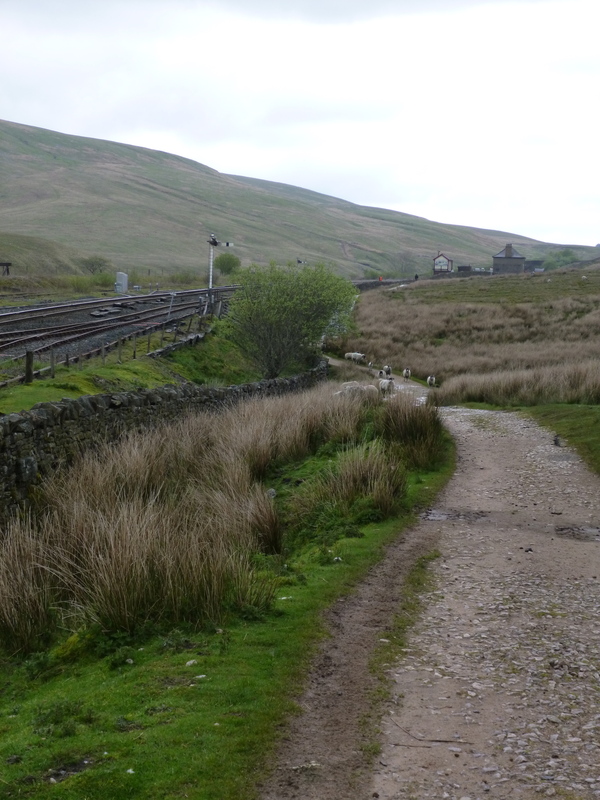 So, at 10am, I managed to leave Ribblehead – luckily I was only going the short hop to Dent and Conder Farm Campsite, a favourite stop over of mine from the Dales Way. As I left it was overcast, threatening rain and muggy. The enforced late start meant there were a large number of walkers out, including four ladies who were also walking the Dales High Way on a similar schedule to myself. The location of the inn meant that I passed almost directly underneath the viaduct, a really impressive view point. I even manage to catch a train passing over it. It’s not long before I’m back on the official route, passing the remote signal box at Bleamoor. There was a steady stream of trains every few minutes, surprising me with how busy the line actually was. 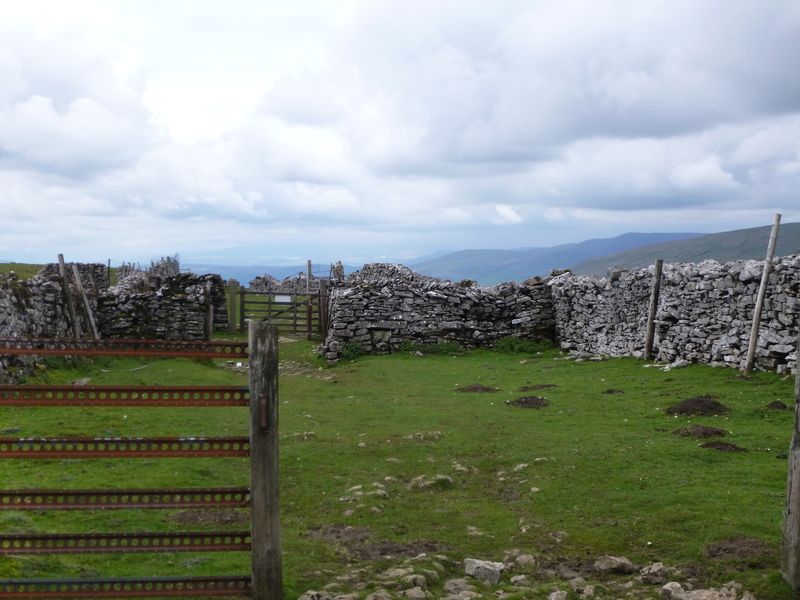 The path here is part of the three peaks route to Whernside and was well maintained – it needed to be. Without the work the path here would be a quagmire. The railway was crossed via an extremely impressive aqueduct which also carried Force Gill. 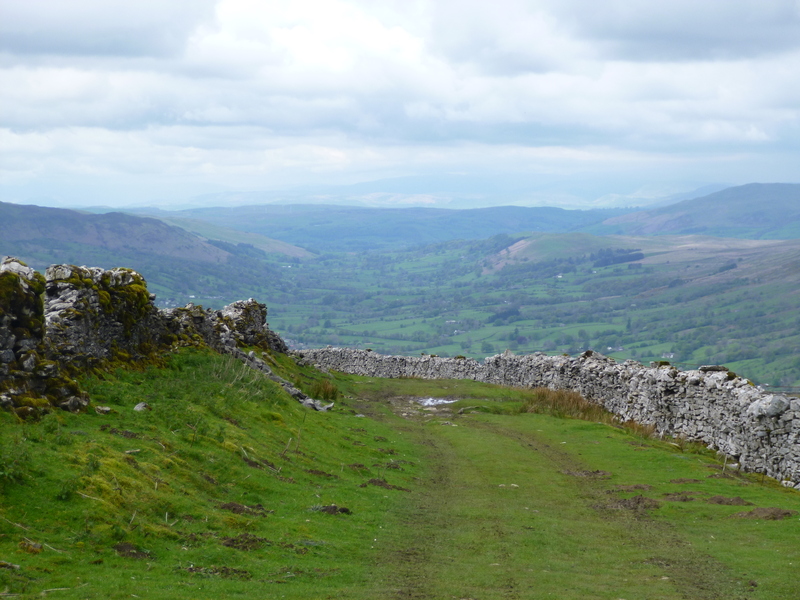 Then began a long steady climb along a very stoney path which was hard on the feet. There were plenty of rest stops, and I spent a few enjoyable moments looking back towards Ingleborough, dominating the view behind Ribblehead. The line of the railway which had entered a tunnel was visible by the line of ventilation shafts which littered the slopes of the adjacent hill. Despite the cloud cover, there was very little wind and a warm humidity which hadn’t been present during the last few days. At the brow of the hill, the view opened up to the east, giving a first glimpse of the very top of Dentdale and the Arten Gill Viaduct. This brought back some good memories of the Dales Way, which passes almost directly underneath it. The path here had changed into a lovely lush grassy track. I paused for a while to rest close to some grouse butts, an enjoyed the stillness of the day. It wasn’t silent though, the constant burble of skylarks, another call which I could only describe as sounding like a squeaky hinge (possibly a Bull Finch having listened to the RSPB website) and the occasional grunt from a Grouse all disturbing the stillness of the day. Dent Station was also visible from here, and it only demonstrated how far it actually was from the village it was allegedly serving. Would a better name not be Dentdale? After an enjoyable rest, just watching the world go by I continued on to the Boot of the Wold, a series of gates entering a walled lane which heralded the descent towards Dent. The view opened up here and I was treated to an exquisite view over Dent and the lower part of the Dale. The cloud had broken up as well, and at times the sun was breaking through dappling the landscape below with a mixture of light and shadow. The RAF seemed to be out enjoying the reasonable weather also, a number of jets flying up Dentdale at my eye level, and in between, a number of the propeller training aircraft appeared as well. While the views were fantastic, the path wasn’t. The soft grassy track was left behind and was instead replaced with a hard, rocky and uneven surface which began to take a toll on my feet. It was with some relief that Deepdale appeared to my left heralding the final push to the bottom of the hill. 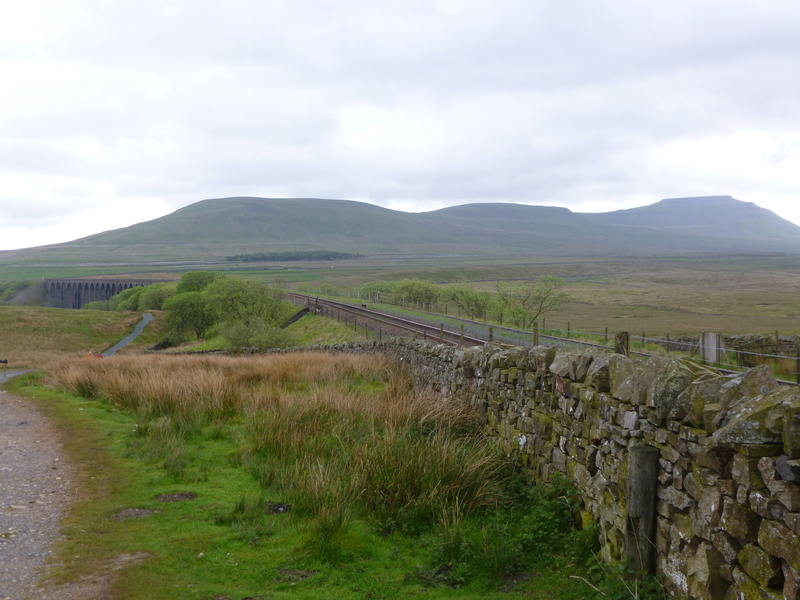 The track finished on a road at Whernside Manor and it was with some interest that I noticed the way mark for Wainwright’s Pennine Journey – a book of his which is a must read for any walker, detailing his walking holiday immediately before the outbreak of World War 2. 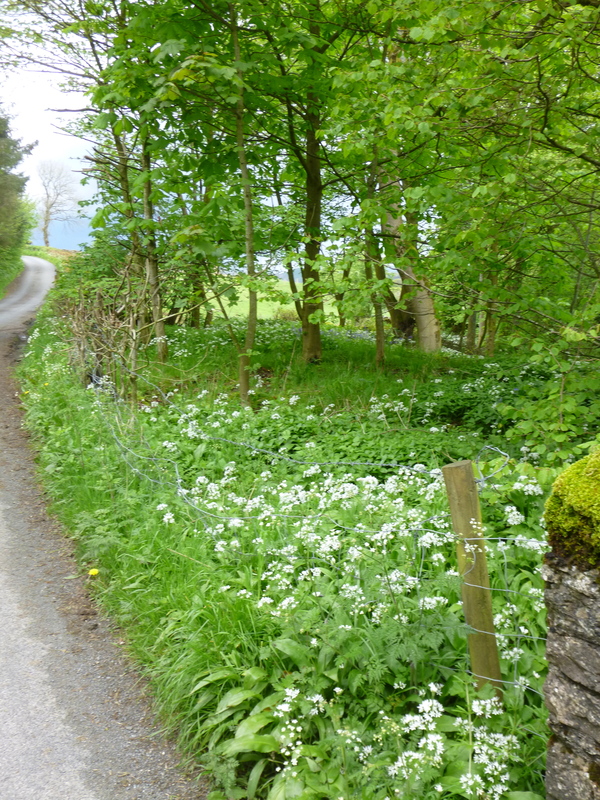 Finally, I met up with the Dales Way to complete the last mile or so into Dent across lush pastureland. 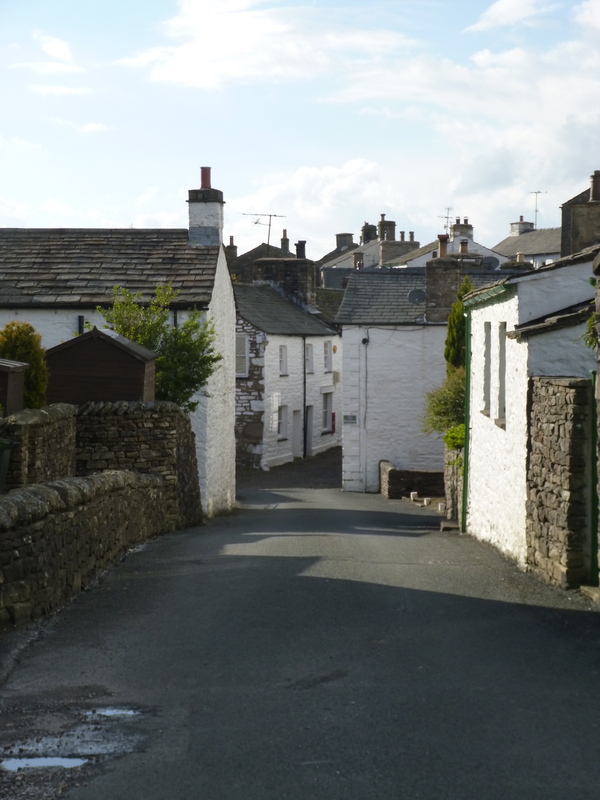 The whole of Dentdale had been one of my favourite sections of the Dales Way, and Dent especially so. I was making for the stunning little campsite at Conder Farm, which, despite its rather rustic facilities is still one of my favourite campsites. However, before I could reach Dent there was the small matter of a thunderstorm to negotiate. 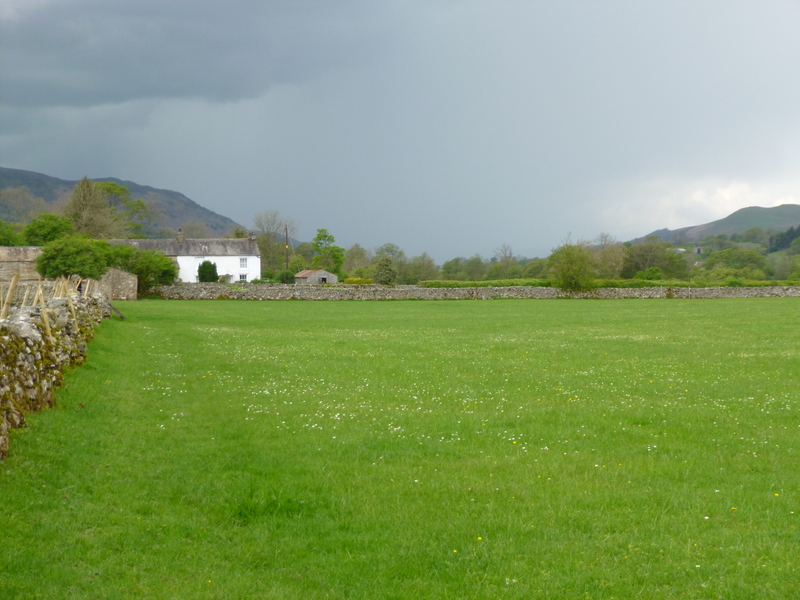 As I had approached the village the sky had been getting darker and a large swathe of heavy rain was falling in the distance. 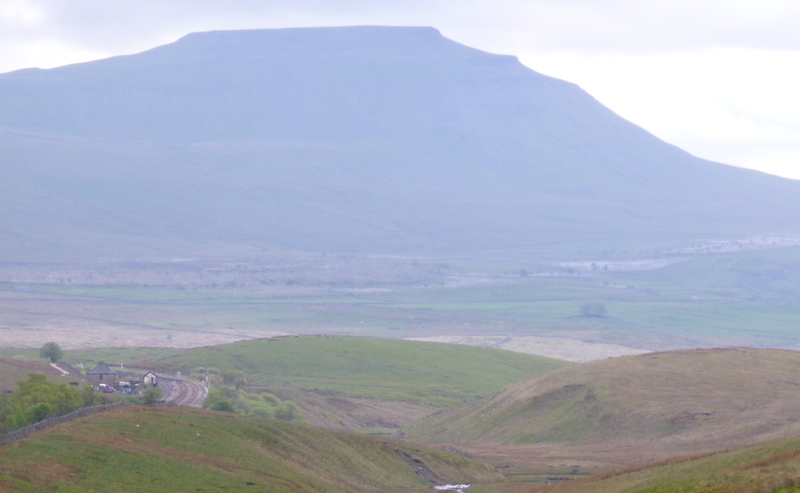 The wind had risen considerably since reaching the road at Whernside Manor, but the worst of it looked as if it would pass in front of me, the wind blowing it across my path rather than towards me. I took a chance an pressed on, hoping to get to Dent (and the pub) before the heavens opened. I was literally 200m away, when the rain came down in floods. Rather than take a soaking I took refuge under a reasonably sheltered hawthorne hedge. While I was reluctant to put the waterproofs on, common sense won the day and I relented, completing the journey to Dent. Rather than head for the campsite, I walked straight to the pub to dry out and await the passing of the rain. A couple of pints later the sun had appeared with the cloud all but disappearing leaving the village swathed in sunshine. Walking back to the campsite I pitched the tent and used the opportunity to dry a few things out. Another quite fabulous, if short day. 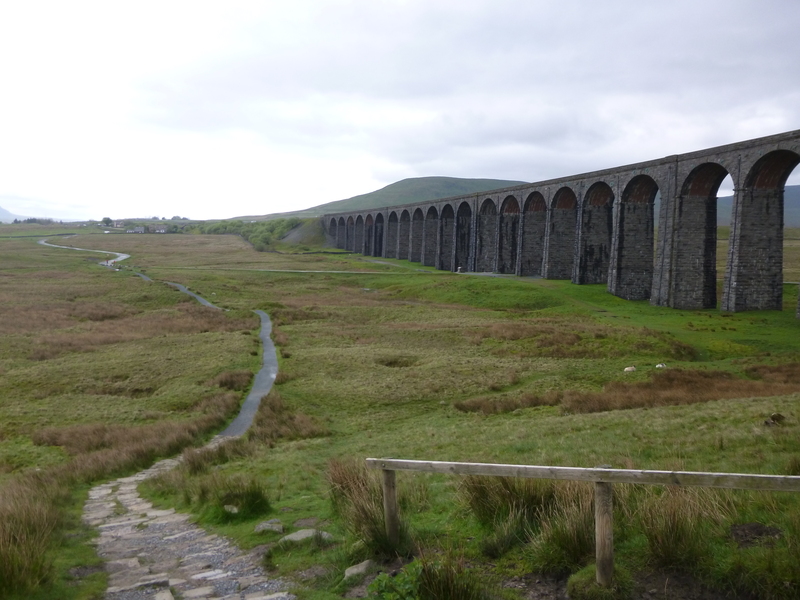 Once again, there was a real change in the character of the walk – the rather bleak and imposing Ribblehead to the softer and gentler feeling Dentdale. Dent is one of my favourite places, it really is somewhere I should spend a bit of time walking (I’m sure I said that in the Dales Way blog again). 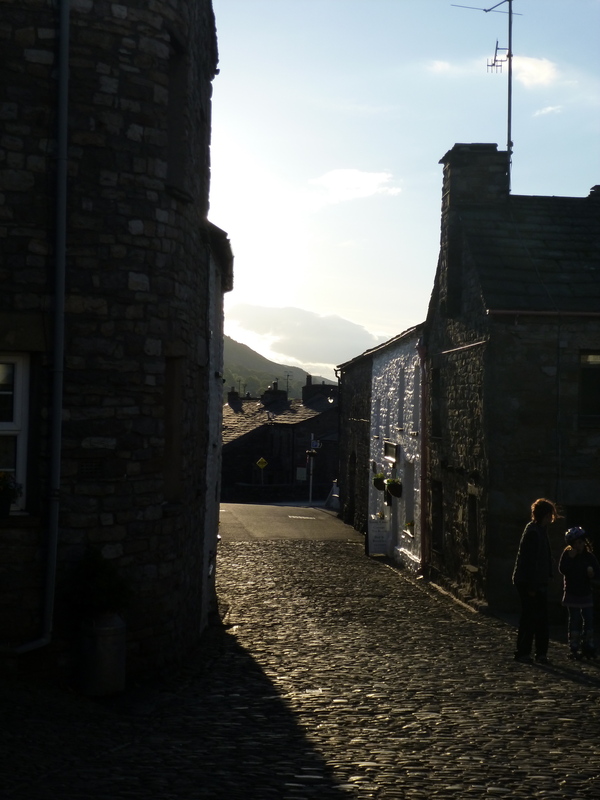 The village itself was lovely in the evening sun, and the campsite almost perfect. A quite lovely days walking.